Just because a home looks nice on the outside doesn’t mean that it’s structurally sound. Your potential home could have an expensive burden right under its foundation! 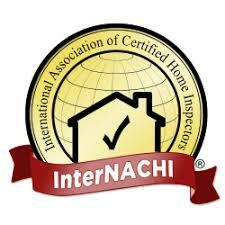 The only way you could know if the property is a good investment is if you get it inspected before you buy. Robert from R&R did two home inspections for me. He was terrific both times. His response and quote times are very fast and he arranges to come to the house very quickly. What I appreciated the most was that he is detailed - he walks through the entire house with you (both inside and out) and clearly explains the good and the bad. He is able to communicate what can be considered technical information about plumbing, electricity, structure etc. to a person with no background in these areas - and makes it very easy to understand. In fact, I turned down a house due to one of his inspections, and knew later that this was the right decision after a general contractor got involved. You will get a LOT of value for your money with R&R and I highly recommend them for home inspections. You will be pleased you selected them. Huge thank you to Robert from R&R coming out on a SUNDAY so last minute to complete a 4 point inspection. He also went out of his way to alert us of some other potential issues from the inspection that wouldn't affect the 4 point report, but that we should know about for possible repairs.